Okay, I am joking a bit, but not a whole lot. As any child caring person knows, children love to scare and be scared. Why? fear when conquered strengthens. Along with Grimm’s Fairy Tales, this book helped children build courage. Fear is an early survival mechanism. Fears are useful when the danger is real. Fears are not useful: when no real danger exists; when the fear leads to shutdown, meaning the person freezes or faints, gives up or gives in; or when it leads to acting without thinking. Fears can spread from something specific to anything that vaguely resembles the feared object. We might get bitten by a dog and not only fear all dogs, but get anxious looking at a picture of a dog. Baby seems to know only hurt, which gets expressed in crying, and contentment or happiness, usually expressed by sleeping. Between six and eight months comes what some call stranger anxiety, fear has been born. By the time a child is toddling about, lots of fears have been added. Night terrors are a sign of that fears have grown. In time, the child worries about future hurts – fear has become anxiety. Temperament plays a big role in fear; some of us are born cautious, some bolder. Some need calming; some restraining. With a bit of parental coaching, most children’s fears and worries can be quieted so the child can face them and grow. When parental coaching does not help or the fear is interfering with a child’s ability to do what has to be done, a mental health evaluation is indicated. Fear based disorders are the most commonly diagnosed mental health problem. Tip one: Remember age and stage: until language develops comfort is the way to go; a hurt or frightened child runs for comfort, those who care for the child need to open their arms. Tip two: As discussed in the previous post as soon as the child is learning to talk, teach the following words: safe, danger, be careful. Tip three: Also discussed in the previous post, teach the difference between real and play or fantasy. Children do not grasp the difference well, but begin to around six or seven. Starting early to talk about what is real, what is fun fantasy, and what is scary fantasy speeds the learning. Tip four: Those treating phobias, immobilizing fears, use one of two tools: flooding which means forcing the person to confront the fear. Afraid of cats? Flooding would have you sitting in a room full of cats until your fear wore out. Not something I suggest with children. The second tool is Systematic Desensitization. Afraid of cats? First get used to a picture of a cat; when that no longer frightens you, move on to a toy cat, then a cat on a leash and across the room; in time you are loving the cat. Systematic Desensitization is the way to help children right on up to their teens. Tip five: With teens, you can do a bit more and might even consider flooding but only with the teen’s consent. Tip six: In order to face fears you need strong self-soothing skills. For a sample go to the my Emotional Fitness Blog ‘s Easy Exercises. For some tips about teaching those skills to children, tune in tomorrow. 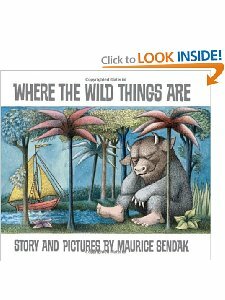 Then tune in the next day when guest blogger Ryan Novas gets specific with a post about how to help kids deal when the lights go out and fear of the Wild Things does its thing. To shut down such worries, remind yourself to “Enjoy Now” or “OK today.” If others are worrying, remind them of the same. As always, remember what matters, enjoy today that is why it is called the present; share, care, and indulge in some healthy pleasurs. The first: Although built upon evidenced based practices, there is no guarantee my advice is the right advice for you and your family. Experiment, try my tips; if they are not useful to you try another parent adviser. You are the expert on you and your child; the rest of us experts on many different things. The second: I have dysgraphia, a learning disability that peppers my writing with mis-spelling and punctuation errors. All my books are professionally edited. Not so my blog posts. Although I use all the grammar and spelling checks, mistakes slip by. If they bother you, seek another source of support for life’s less savory moments. Life is too short to let problems you can avoid annoy or stress you. This entry was posted in Parenting Issues and tagged emotional fitness tips, Emotional Fitness Training Inc, emotional intelligence, kids, Overcoming fear, parent tips, Parenting advice, parents, postaday, teens, Where the Wild Things Are. Bookmark the permalink. I was a shy and scaring child, learning disablities did not help. But my mothers gentle pushing and her constant use of the saying “Nothing tried, nothing learned” moved me forward. My two learning disabled sons got as tired as I did of hearing the same, but the words got embedded and helped them grow strong.